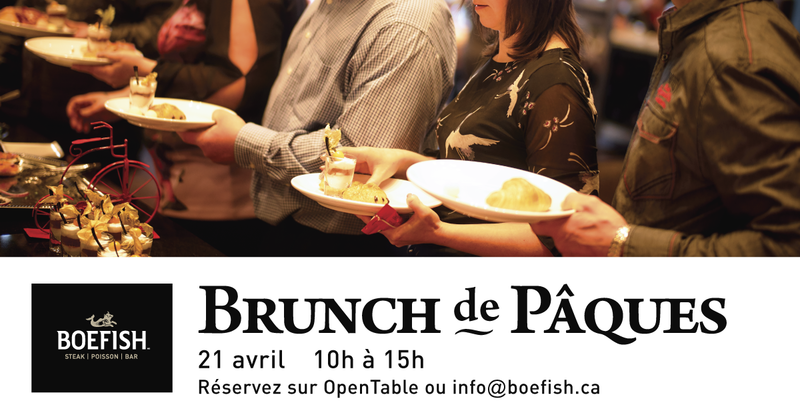 Let’s meet on April 21st, 2019 at Boefish Sherbrooke or Saguenay for our famous Easter Brunch. Thanks to its success last year, it comes back for the second time more delicious than ever, and made its first entry in Saguenay. What’s on the menu? A giant buffet with various stations. Book now on OpenTable (here for Sherbrooke, or here for Saguenay) or even at info@boefish.ca.